Nagavara is a town which is the major attraction for business travelers. It is closest to one of the biggest business HUB located in the city. It allows the people who come here easy access to these hubs. This city is the home to the greatest technical minds in India and welcomes such brilliant talent with open arms. Property in Nagavara Bangalore is available very easily. There are a lot of brokers and many websites online that provide the people with the information they require. 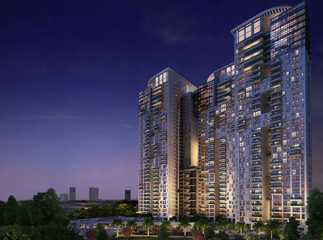 There are many luxurious projects in this area which provide the people with world-class amenities along with comfort. Residential apartments in Nagavara Bangalore come in various forms which include the independent row houses, apartments, and barren lands to build a bungalow. This allows the people with a lot of choices and facilitates them to select the property according to their needs. With the evident growth of population in this sector there a lot of ongoing projects in Nagavara Bangalore which are constantly striving to provide the people with the best quality and comfortable living. These upcoming projects are going to allow people to select their dream home with all the world-class amenities that they desire.